A massively tourist-infested island, Crete is the largest island in the Greek archipelago and is also the fifth largest island in the Mediterranean. With a local population of over 600,000, Crete can seem pretty crowded as compared to the smaller islands, but when it comes to the actual crowd, you will find the tourists creating most of the commotion. Crete on a budget or not will never disappoint you. The beaches of this fantastic island are covered from head-to-toe, during the holiday season and finding something cheap in this tourist-devouring place might be hard. However, if you look deep enough, there are some magical gems that Crete has hidden within her inner parts, away from the glamour-spots and untouched by commercial thought. Whether you are going to the island with your family or just with your friends, this is one thing that everyone enjoys. It is quite difficult to be so close to the water and, yet, not experience the life that lives under it. 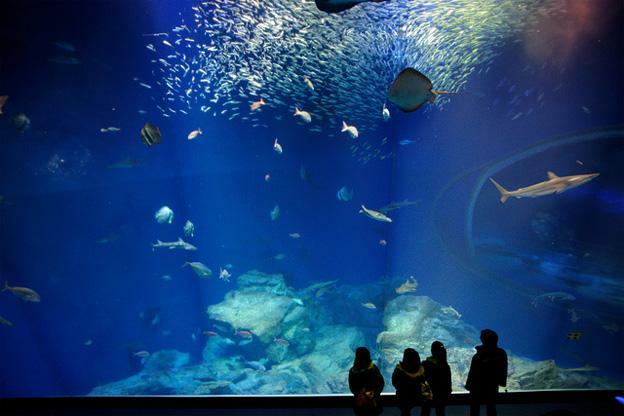 This aquarium has been around since 1995 and is absolutely fantastic for people of all ages. If you do have children with you, then this is the place to take them to, away from the mundane beaches and into the world of exciting and stimulating activities. Okay, so it is a beach I am talking about but it won’t be anything like those crowded beaches with tourists buzzing like flies. One of the most picturesque and peaceful walks you can ever take, the walk along the Stalis Beach, towards Malia, is surely one of the most spectacular ways to spend your time. If you get hungry, the tavernas lining the beach, offering some of the most brilliant local cuisine, are the best places to stop for a bite. And if you do keep on walking, you might just reach Malia, which is a whole new experience altogether. Here’s something you wouldn’t expect on a trip to a Greek island – a train ride that takes you around. The train takes you around the Gulf of Mirabello and through the villages towards interior of the island, ensuring that you get a taste of Crete in a never before way. The train stops to let you take a break at a local café, but try to take a stroll and pick up what you need to eat or drink, rather than just sit there for a cup of coffee – You won’t regret it! Who would have thought that on a tourist-riddled island that boasts of the world’s best beaches, you would find something so vivid and deeply interesting as a national park. 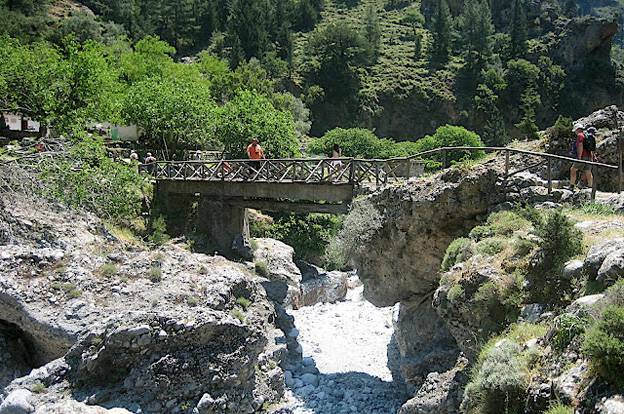 The Samaria Gorge National Park is all about talking a wonderful walk through breath-taking countryside, beginning from the picturesque plateau of Omalos and heading about 16km down to the village of Agia Roumeli. The best way to travel through the terrain is to take your own time on the way to Samaria, an old village, and then resting for long before trying to make the remaining journey as quickly as possible. The second part of this journey, after Samaria, has little shade so you may need to hasten things up. When it comes to holidays, Crete on a budget or not is always the place to be. It has everything that the average beach-tourist wants, something for the historical tourist and if you are in love with nature, then you will never want to leave. Spend some quality time on this magnificent island and you are guaranteed to keep coming back for more. 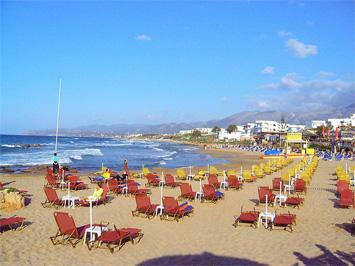 Holidays in Crete is the chosen destination for Harvey, a travel agent by profession. While he recommends this beautiful place to the entire world as they come to him seeking advice, Harvey himself keeps the lesser-known places close to his heart, and safe-guards those secret destinations where he plans to make his holidays unforgettable.